It is important to remember our dreams. 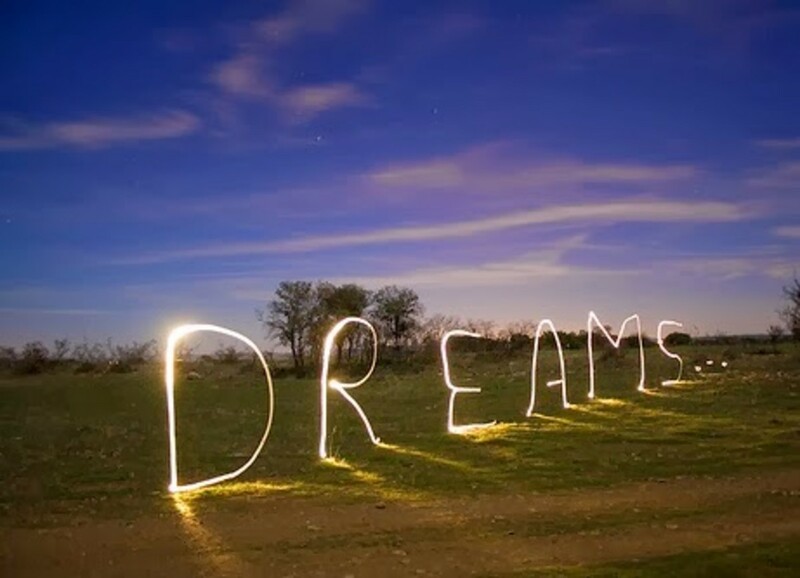 Our dreams reveal to us our inner workings, a side of us we are often too busy to give attention to during the day. By paying attention to our dreams and engaging in dream work, we may find we have a more balanced life and we are able to solve everyday problems more quickly. Dreams allow us to understand what has been repressed or ignored that demands our attention. Dreams allow us to explore our emotions, thoughts, unconscious influences, and filter through all of our experiences. They allow us to organize our thoughts and feelings so we approach life in a more adaptive way. 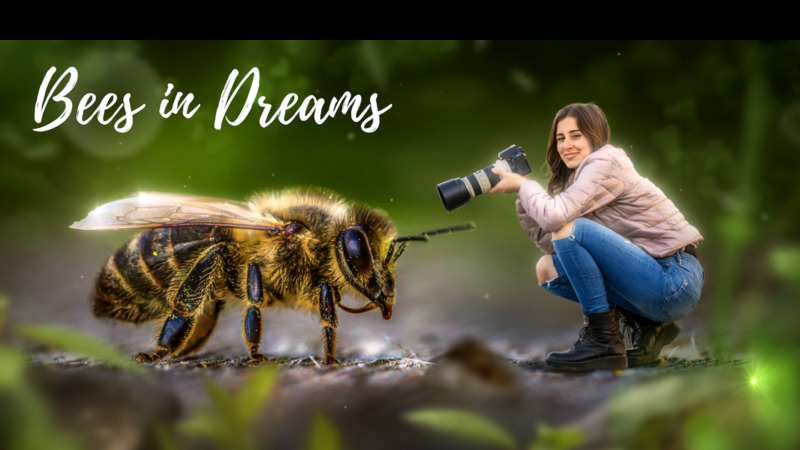 Recalling dreams allows us to further engage in dream work by rationally viewing our dreams and understanding what is not addressed that we may need to make a priority. It is often the dreams that jolt us into remembering (or even awakening) that are the most important to remember and resolve. By resolving these type of dreams, we are resolving something that we have not attended to but need to. It is within our nightmares and our most troubling or annoying dreams that we are able to recognize what is troubling us the most so that we are able to seek a new approach and move on towards success instead of allowing ourselves to be stuck on one issue. There is no magic trick involved when learning how to remember dreams. There is no one silver bullet for remembering dreams either. Dream recall is achieved by making it a part of routine. It requires practice, practice and more practice. There are some activities we can do to encourage dreams. Remembering our dreams involves an effort to recall the dream and commit it to memory. If you don't want to put in the effort but still want to explore your unconscious, try the Rorschach inkblot test. Although many claim that alcohol or drugs give them more vivid dreams, these dreams are disjointed, confusing and lend little to dream work. These dreams are a reflection of the substance more than the dreamer. Alcohol may encourage sleep but it is a light sleep. You typically do not feel rested after this type of sleep. You launch into REM sleep in a superficial way. 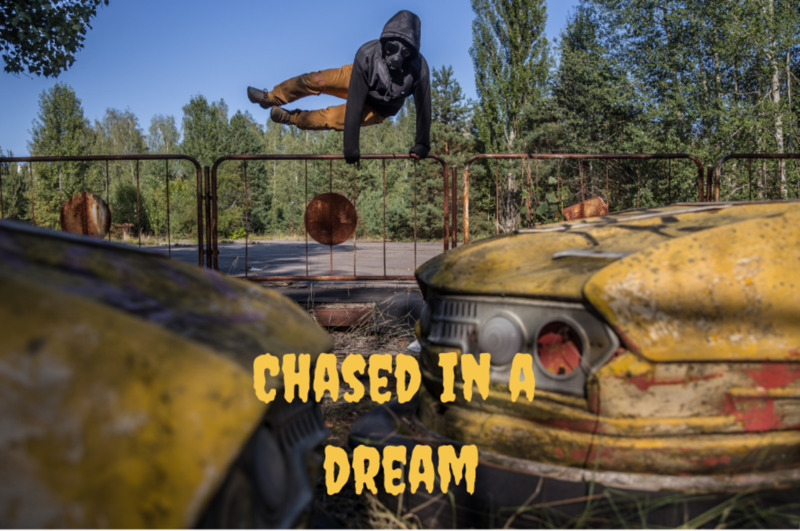 Recalling these types of dreams is often confusing and misleading for the dreamer. Dreaming can be physically taxing. We require deep sleep. Active dreaming and active dream recall can fatigue someone leaving them with many dreams but not much energy throughout the day. 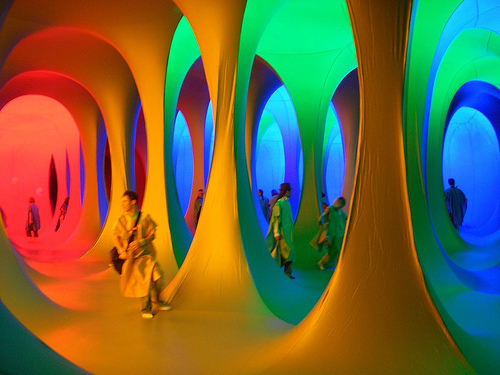 If this is an ongoing trend, dreams will begin to reflect this fatigue and will not help the dreamer gain much insight. If you are fatigued, stressed, overworked, and/or sleep deprived, your body will not have the resources or the time to allow you to remember dreams. Recall takes energy. Do not eat 2 hours before bed. If you have to consume food or beverages select the most light options- fruit, herbal tea, water, etc. Avoid caffeine and other stimulants 6-8 hours before bed or longer if you have found you are sensitive to substances. Expose yourself to natural light as much as possible during the day-- remove sunglasses! Instead of watching TV, listen to music in a dark room. Set the stage for sleep. It is better to have a slightly cool room than a warm room. Throw on some covers if you are cold and allow your head to cool off. Keep noises down. Keep the room dark. Make sure your bed is comfy and cozy. Your bedroom should feel like a sleep encouraging oasis. Instead of sleeping late which can create an irregular sleeping pattern and encourage you to forget dreams, take naps during the day to catch up on sleep and encourage dreaming. Sleep with a pen or pencil and a note pad by your bed in a convenient spot. It is important to have access to this as soon as you awake without getting out of bed. Ensure you are able to get enough light without walking around as well. Recalling dreams is a process that requires a lot of practice. Dreams have a function for us. It is healthy to process the information of the day, forget it and move on. It is often the dreams that we remember or stand out to us that trigger a realization that we are not addressing something. If you set up a routine and are waking up the same time each day, you may find you are recalling dreams upon wakening. Many people experience a transient dream recall in the first few minutes of being awake. Their dreams then evaporate soon after leaving them with a sense of remembering a dream but not being able to actually recall any details. It is during the first few minutes of being awake that it is most important to attempt to write down your dreams and any impressions you may have before these images become fuzzy for you. It is important to write down ANY impressions you may have. If you can't remember the dream, attempt to recall a color, a feeling, an image, etc. and write it down. If you continue to practice this, you will begin to remember more and more content of your dreams. Still not recalling much of your dreams? Attempt to take naps in 5, 10, 20, 30 minute intervals as an experiment (use an alarm clock) and write down any impressions you may have after. You will discover your own personal dreaming rhythm. Remember that everyone has 5-8 dreams a night and that dream recall is exhausting. We simply cannot expect to have the stamina to face our waking lives each day and recall all dreams. You will likely only recall your last dream if at all. Recalling dreams each night can be exhausting. Once you practice dream recall for a few months, you may find that it is most beneficial for you to attempt to recall dreams ever other night or every two nights if your dream recall has reached an impressive level. It is common for people to recall pages of dreams after practicing dream recall techniques daily. Did you recall a dream you want to explore? What do you tend to recall from your dreams after waking up in the morning? I record my vivd dreams as soon as I wake up, the put them on word document. Usually with in three days they come true. alipuckett- I have also been exhausted from dream recall which is why I answered this original question with a hub explaining my answer. I think it is important to remember dreams and work through dreams but not to recall ALL dreams. We would simply collapse in that attempt. I followed the steps I identified in this hub a few years ago and committed to documenting my dreams nightly. After a few months, I was recalling 2-3 pages typed, single space on each dream. It was simply too much. I had to take a break to actually allow myself to get rest and recall LESS. Dreams are fascinating. I'm so glad others feel similarly! I love this article! I remember my dreams nearly every night. I completely agree that it's a matter of routine, making time and space to recall them. I also like that you mentioned how exhausting it can be, especially when the dream itself was exhausting! There are some mornings when I wake up and think, 'Well, I could re-trace that one, but I don't even have the energy'. Awesome hub! Thank you so much for the comment. I have been planning on writing this hub for so long. Many people ask me for advice on dream recall and often question if dreams are important at all. I wrote this hub as a quick summary of why I think dreams are important for our general well-being as well as give realistic instructions for how to improve dream recall. It is so simple it works! very useful as well as interesting... nice hub... i myself have a lot of dreams... almost every night. some i remember and some i don't... will try your steps next time... lets see... voted up..